The Südburgenland is Austria’s smallest wine region on the border of Hungary. In the 1990s, Uwe Schiefer started piecing together his estate. While others were put off by the steep, schistous hillsides of Eisenberg he saw potential. It’s now widely regarded as the best site in the region. The wine’s black cherry and dark mineral notes on the nose are woven with fine-grained tannins and a backbone of good acidity. 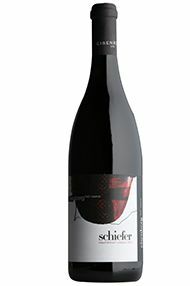 The fruit is rich yet refined with subtle aromas of fennel and black olive. This is a wine of superb length and complexity that is wonderful now, but will also reward cellaring. Drink now to 2025.